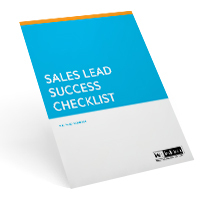 Free checklist: Is your website helping prospects move forward in the buying process? Your Website is often the first place somebody looks to learn more about your company and its products or services. Is your site helping prospects move forward in their consideration and buying process? Download this 8-page set of checklists and resources to help make your Website pay off. In addition to the Website design checklists, Mac McIntosh includes his shortlist of Website design resources, organic SEO resources, and sponsored results and pay-per-click resources to get you started.